Sweet Potatoes 80g - Solida Food Sp. z o.o. Sweet potato. Naturally sweet, without added sugar. The product is steamed, ready to eat. Sweet Potatoes are rich in nutrients, making them healthier than traditional potatoes. 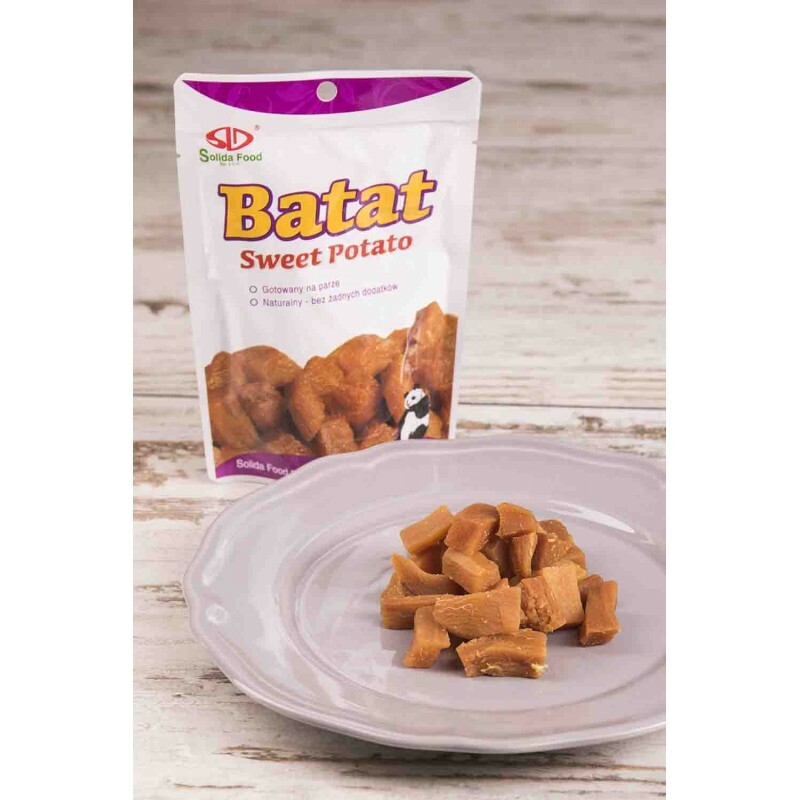 They are a good source of B vitamins (B1, B2, B3, B5 and B6) and vitamin A - already 100 grams of candy fill the daily requirement for vitamin A in over 600%! They also contain a lot of valuable elements, including magnesium, phosphorus, potassium, copper and manganese. 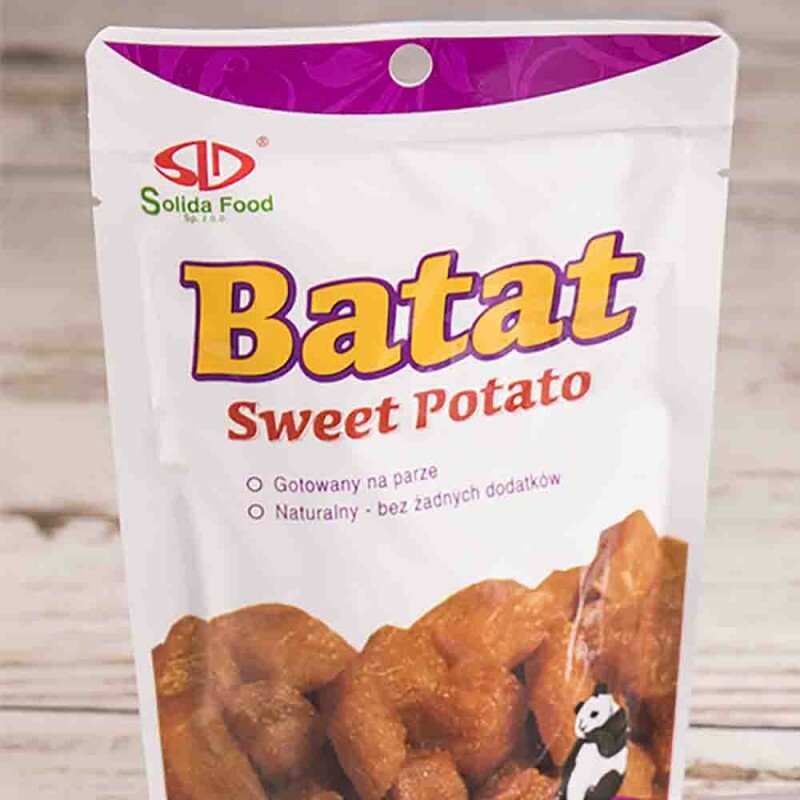 As with ordinary potatoes, the sweet potato has anti-inflammatory properties (mainly due to the presence of beta-carotene, vitamin C and magnesium). 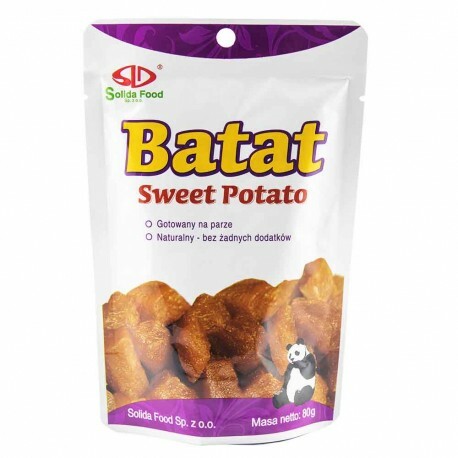 Sweet Potatoes are effective in treating bronchial and lung diseases and help asthmatics. They are also a rich source of lutein, which has a beneficial effect on vision. Sweet Potatoes have a low glycemic index (lower than in potatoes), so the process of releasing energy from them is slow, and thus slow down the absorption of carbohydrates by the body. Sweet potatoes protect against bladder cancer and can reduce the risk of kidney and breast cancer. 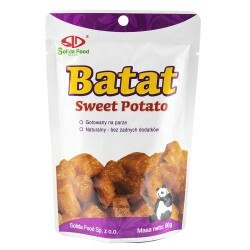 We offer steamed sweet potatoes. The product is ready to eat when opened. 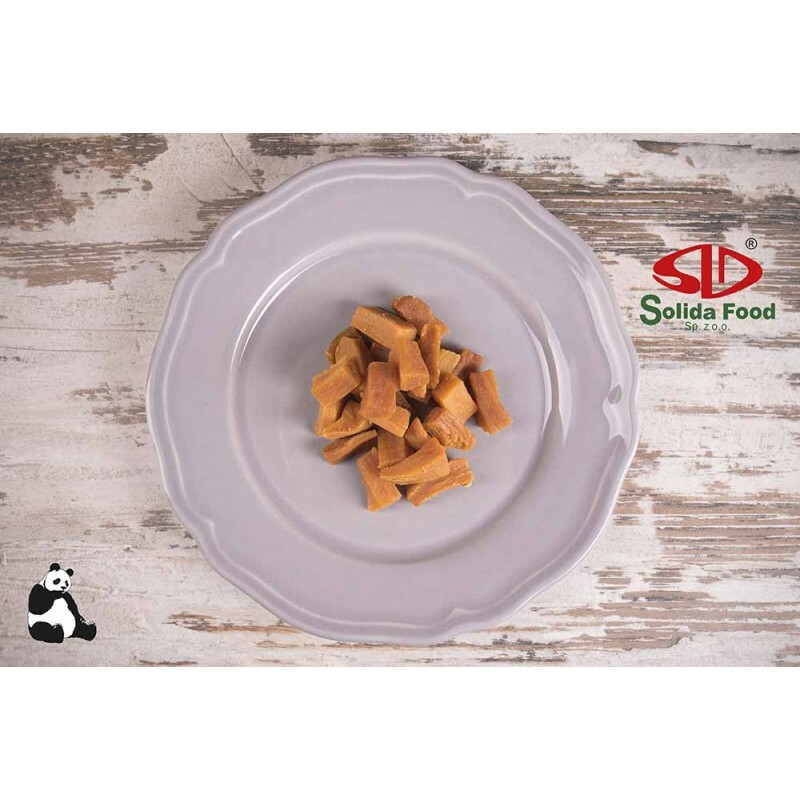 They can be eaten cold as a snack, warmed up after cooking in an oven, frying pan or in a microwave, as well as used as a food ingredient, i.e. for soups, pasta or meat.